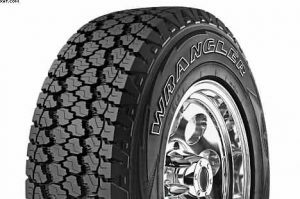 Goodyear Wrangler SUV Tyres-A winter tyre option for SUV's ? Has it happens, I simply love my new Jaguar F Sport SUV. As a garage owner I have never been one for “posh” cars. In fact just the opposite? As a result, I have spent the most of the last 40 years driving about in a van of some sorts. We lease most of our cars. So when the Jaguar came along as a leasing option. Then I could not resist but to get one. Not that it is very expensive, but the fact is that I still class myself as a middle class working man. Of course, I did feel a bit sad when I went to any trade meetings in my van. Whilst everybody else came along in a nice car. For this reason I decided to go for the Jaguar SUV. I must confess that the car took a bit of getting used to at first. Therefore, the first thing that I did not like. Consequently, was the Start/Stop system. Fortunately, the Jag gives you the switching off alternative. When I was an apprentice mechanic back in the day. Then we were always taught not to switch you engine off for a short stop. For example at traffic signals. Hence the car would use more fuel switching off, that letting the engine idle. Subsequently, we are now told the opposite? Another part of the car that I do not like. Thus, is the fact that there is no spare wheel. Just a tin of sealant to try get you out of trouble. This seams like a cop out to me? In fact before winter arrives I will try to source a steel spare wheel that fits. I am also concerned about the nice big fat summer tyres that are fitted to the car. Naturally they will be great in summer, but it is winter that concerns me? These large SUV’s really do struggle in winter. As a result, I remember the first bad snow fall a couple of years ago? We were inundated with the owners of large SUV’s looking for winter tyres. These big vehicle were hopeless in snow and ice with their summer tyres. As it happens my jag is fitted with 25555R19 Pirelli P-Zero tyres. From experience, I know that they will be next to useless in winter weather. Especially on ice and snow? Although the attached excellent article is about the Goodyear Wrangler. So, I am going to fit a set of “Nokian W3 SUV” tyres. Not that I dont like the Goodyear Wrangler. I just think that they may be noisy on the motorways and dry roads. However we have fitted the Goodyear+Wrangler+HP+All+Weather tyre in the 25555R19 size in the past with good results. As a result, I do find the Wranglers are more rugged and are extremely durable. Of course, this is why they do not get damaged easily. Hence, they can be used in heavier vehicles such as jeeps and the Land rovers ranges. Goodyear Wrangler SUV Tyres better for tougher vehicles? In fact the bigger vehicle companies such as Honda, Mazda, Toyota, and Jeep. happily fit the Wranglers as their original equipment tyres. This shows that the company is well known and reliable in the market. As a result, their tyres are trusted by some really big car and vehicle companies. But I must add that these would be on the bigger 4×4 type of vehicles. I prefer to use the less aggressive winter and all-weather car tyres in the correct size of course. That is my reasoning for fitting the excellent Nokian winter products. In fact we were thrilled to get a sale from a customer with a Mercedes SUV. He swore by the Nokian W3 SUV tyres. To the extent that he even gets a better mileage coupled with a better winter grip. These first hand reports really boost our confidence. Hence, when selling a certain product. But please look at the Goodyear tyre products in the attached article and make up your own minds. How to choose and use the right tyre for your SUV. https://www.pellonautocentre.com/wp-content/uploads/2015/06/Logo_PellonCleanTrans.png 0 0 Eric https://www.pellonautocentre.com/wp-content/uploads/2015/06/Logo_PellonCleanTrans.png Eric2017-09-25 05:08:452019-01-02 08:34:46Goodyear Wrangler SUV Tyres-Sponsored feature:Could be Your SUVs best friend Especially in Winter? Motor Codes attract more independent garages for Improved Customer satisfac... Unipart Car Care Centre Will Continue to Operate and Stays in Business.